You can also submit changes on behalf of another user. 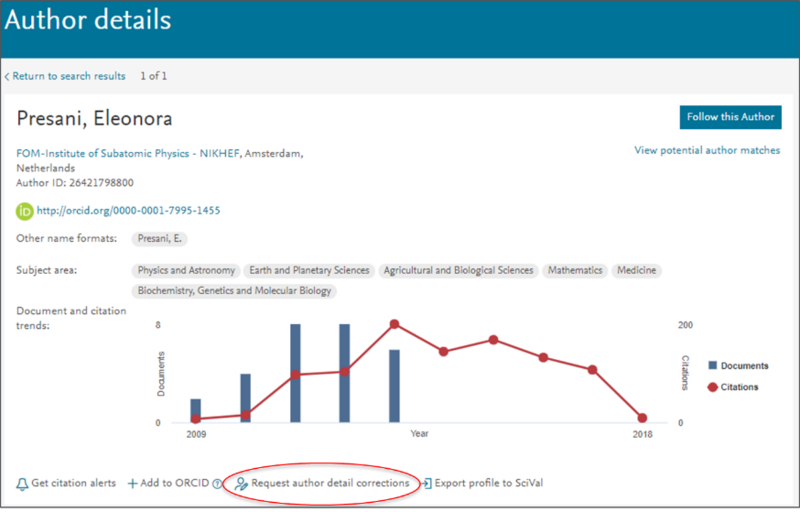 There are three different places from where you may enter the Author Profile Wizard. 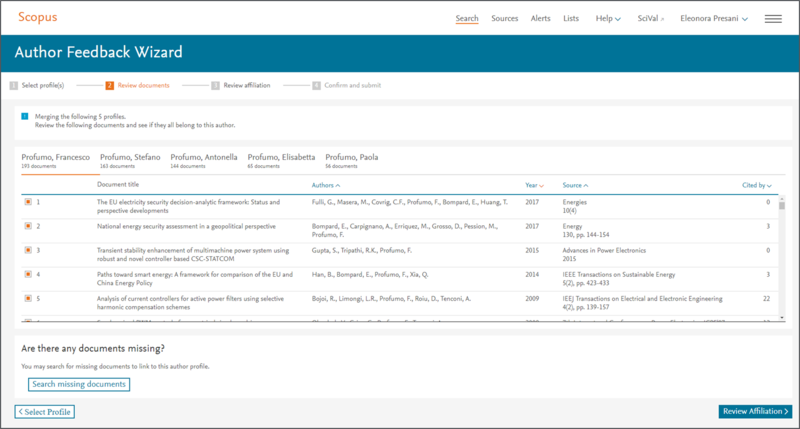 In addition to accessing many other personalized features across Elsevier products, you will be now be able to review your Scopus Author Profile and track any changes that you submit. Step 1: Select Profiles: You will be directed to a list of results with possible profiles matching your search. Find and select your profile(s). Is there a name preference? Is this your personal profile or are you submitting the request on behalf of someone else? 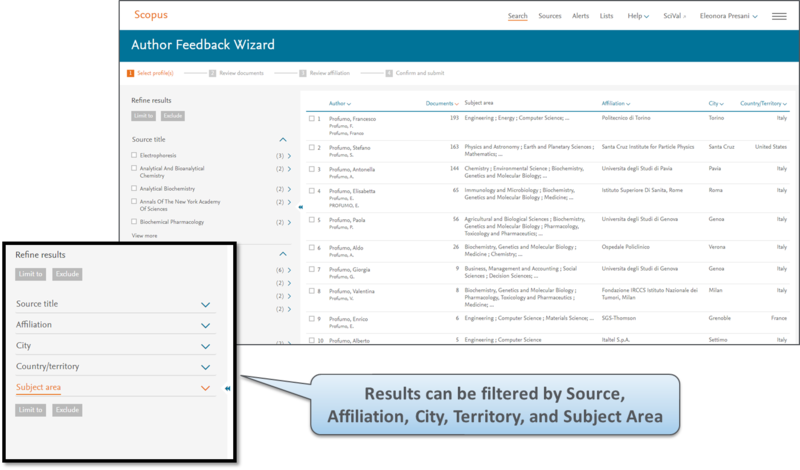 Step 2: Review documents: Each profile you previously selected (during step one) will be presented as its own list of documents. From here you can also search for missing documents. Add any missing document(s) by conducting a keyword search within the article title or abstract. Documents can be selected and added one at a time to the profile. Select your name from the list of publication authors. Step 3: Review affiliation: Request changes if applicable. Step 4: Confirm and submit your request. A tracking number will be emailed to you.